Have you ever regretted your decision to get a tattoo? Or are you more like me and are worried about having a tattoo when you’re an elder? In the past few years tattoos have become an intransigent part of the fashion world, but are they really a permanent accessory anymore? As the number of people getting tattoos has been on the rise, there has been a corresponding demand for a more effective form of tattoo removal. Long gone are the days when chemical destruction or salabrasion were your go-to options for tattoo removal. Technology has evolved to the point where laser tattoo removal can typically be expected to guarantee 80-90% removal. Did you know that there are currently no regulations or national standards which require tattoo artists to have training and qualifications? That is why there are occasions when tattoos go so horribly wrong! Thankfully the new technology we have here, can help you. The Q-Switch Laser treatment applies powerful pulses of light to the skin, which breaks down the ink into tiny particles making it easier for your immune system to rid yourself of unwanted artwork. The procedure is relatively quick, at only 20 minutes per session. No anaesthesia is required for this safe and effective treatment with no downtime. It usually takes several treatment sessions to remove a tattoo successfully – this depends upon the colour of the tattoo ink as well as other factors, with regular intervals between sessions. So if you’re looking for an affordable laser tattoo removal service, get in touch with us and book your free consultation. Don’t forget about our exclusive offer on Teeth Whitening! 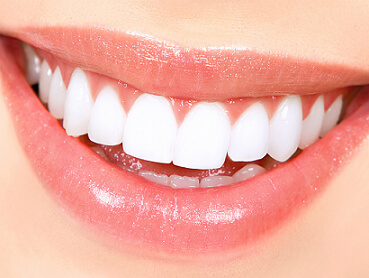 We are offering an exciting package deal throughout the December month on our teeth whitening treatment. Get your teeth whiter and brighter, ready for 2015 with Philips Zoom Whitening home kits and our professional laser teeth whitening! Don’t miss out – click here for more information. We would like to wish our clients, staff and readers a Merry Christmas, full of fun and festivities, and an exciting New Year!